Several game modes are available on Tabletopia, including Online, Solo and Hotseat modes. This article features description of each mode and its features. Solo mode available for games that feature a 1-player setup and can be played alone. In this mode the in-game chat, turn-based modes, lobby, and some features like Pause, Finish Game, etc. are all disabled. To play a game solo, Click Play Solo on the game’s page. The appropriate setup will start launching immediately. 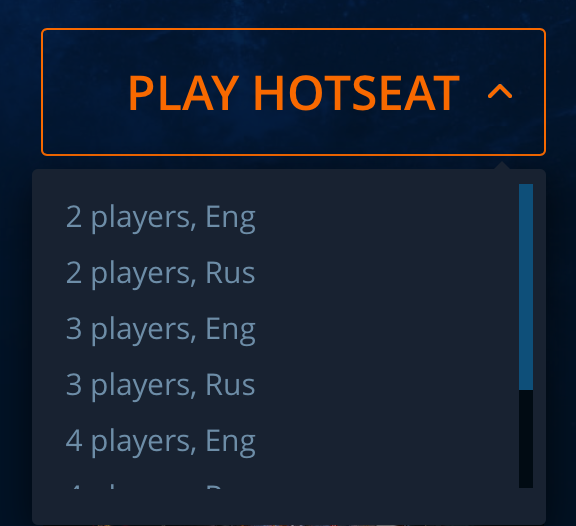 Hotseat mode lets you play any game in a multiplayer mode but on the same desktop. Games with hidden information, like a hand of cards, are also supported. Click Play Hotseat on the game’s page. Choose a setup for your number of players, if available. The game will start loading immediately. While in game, click End Turn to pass the turn to the next player. Note that your hand will now be hidden and your opponent will not see it. Online mode is the multiplayer that lets you play with other users online. 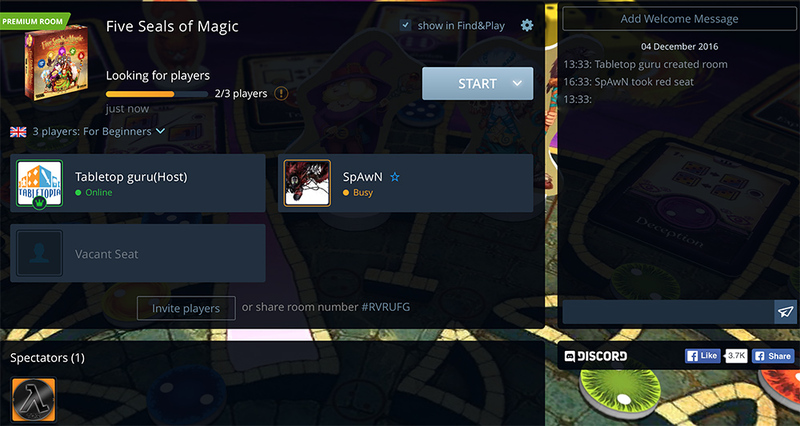 Games in this mode can appear in the Find & Play section and be shared with people outside Tabletopia via browser. 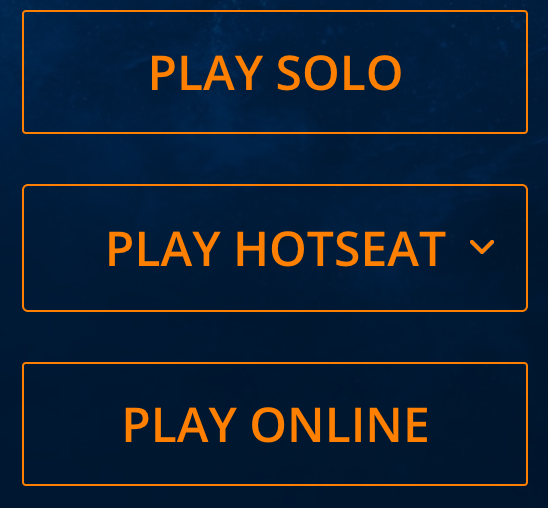 They have a wider range of options than the Solo and Hotseat modes. Read Starting Games and Inviting Players for more details about this mode.